As things have gone on a different tangent than what the US expected in the Korean peninsula, President Trump seems to be now trying to ‘steal’ the credit for the talks. North and South Korea have agreed to meet face-to-face, next week, at the Peace House in the village of Panmunjom in the Demilitarized Zone between the countries. The new development follows the reopening of a vital communication line between the two countries, and North Korean leader Kim Jong Un expressing his willingness to send a team to participate in the Winter Olympics to be held in South Korea. As Seoul agreed to postpone its joint military drills with the United States, North Korea said in a faxed statement to the South agreeing to take forward the dialogue ahead. According to political experts, the initiative by both sides has clearly eased the tension that was building up in the region for months, even threatening to turn into a full-scale nuclear war. The delegates are expected to discuss the Winter Olympics, and how to improve the ties between the two countries, South Korean Unification Ministry spokesman Baik Tae-hyun told reporters. The dialogue initiative by both countries is clearly based on mutual trust. 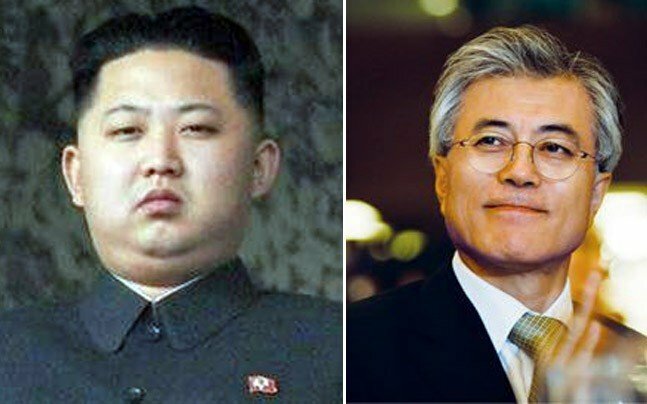 It is understood that Kim has personally instructed the United Front Department, as well as to “relevant DPRK government units” to “promptly” take “substantial measures with the South Korean authorities, out of the sincere stand and honest attitude.” The faxed message was directly addressed to the highest authority- South Korean President Moon Jae-in. Earlier in a statement by Moon’s office, his press secretary Yoon Young-chan said “the restoration of the communication channels means a lot. It is assessed that (we) are headed to setting up a structure through which contacts can be made on a regular basis." Meanwhile in Washington, US President Donald Trump and his administration are in an anxious and uncomfortable mood, as their ‘game plan’ in the Korean peninsula seems to be derailing. The US has said it will not recognize any dialogue process until Pyongyang stops its nuclear program. Till recently, Trump had been deploying a barrage of Twitter attacks against North Korean regime threatening to ‘completely annihilate’ and bragging that his ‘nuclear button is much bigger and powerful’. US envoy to UN, Nikki Haley, had earlier questioned the wisdom of an inter-Korean dialogue. “North Korea can talk with anyone they want, but the US is not going to recognize it or acknowledge it until they agree to ban the nuclear weapons that they have,” Haley told reporters in New York on Tuesday.